The playgroup is situated 400 metres off the main road in the north of the town. You go down a sandy track past a mixture of houses, several of which are newly built since the tsunami to replace destroyed buildings. The play group opens between 8.00 and 11.30 each weekday. 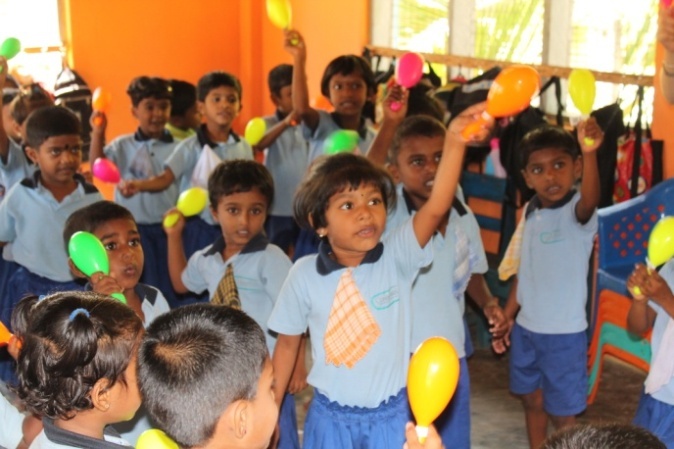 There are 48 3-4 year olds enrolled at the playgroup, but today only 35 or so turned up, as this week includes the Hindu festival of Divali, and several families appeared to think that it was a holiday all week! The children in fact come mostly from a 500 m radius of the building, though one little 5 year-old turned up (on his own!) about 40 minutes late as he lives 4 km away. About 10 of the children have parents who work in “government jobs” (hospitals, police), whereas all the others rely on their fathers getting casual labouring jobs (often unsuccessfully, so these families are very poor). 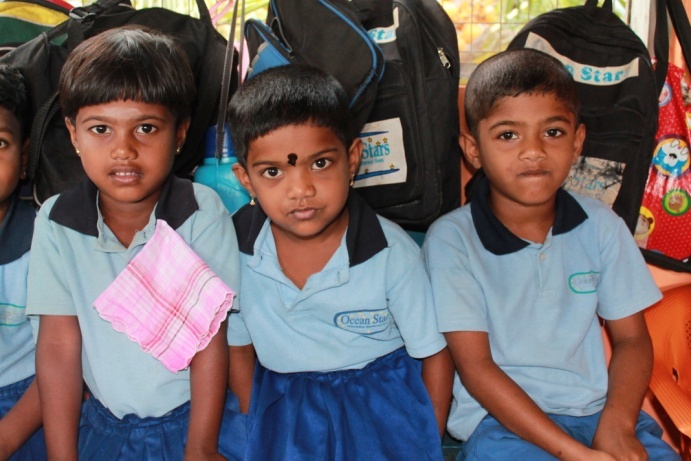 Mrs Devaki, Mrs Vasikari, and Mrs Santharuby are the teachers. Mrs Devaki told us a lot about the school. 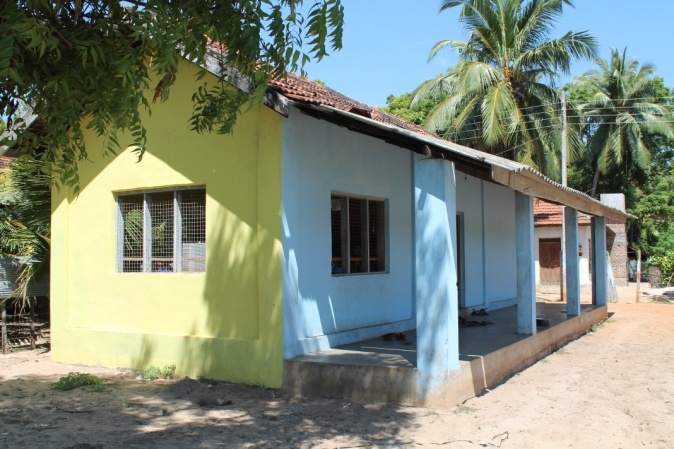 The school had been built by the local council, but the Ocean Stars Trust has funded the school for the past 2.5 years, paying teachers, and providing uniforms and resources. 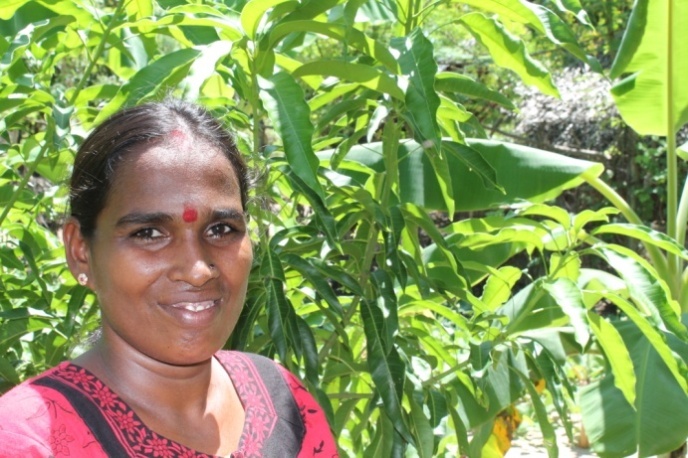 She is grateful for the help of OST. 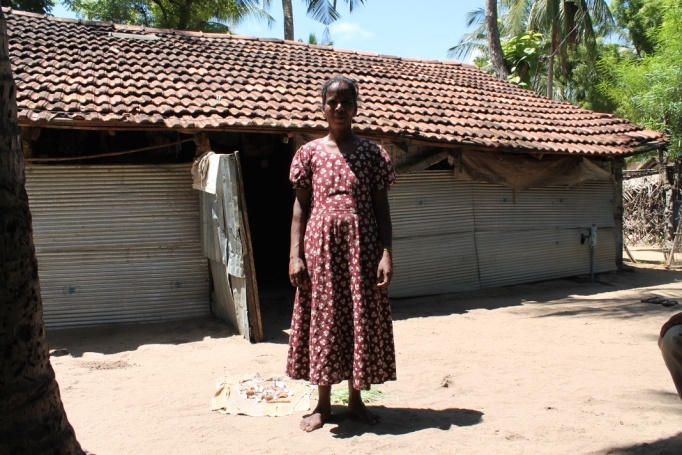 There is real poverty amongst several of the families, often as they have families of 4, 5 or more children, and the parents do not earn very much, if anything. 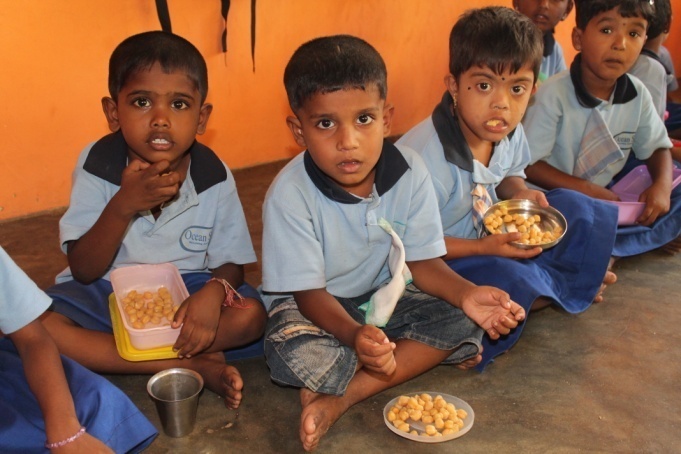 The children receive a meal at 10.30 – today it was chickpeas, a drink, and milk, and for some this is their only meal of the day. Today there were three volunteers from England conducting the playgroup sessions. The theme was Elmer the Elephant. 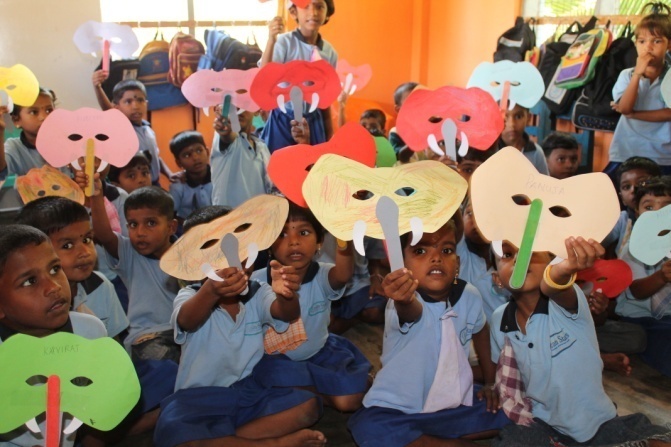 Elephant masks were made, a collage was made of Elmer, which was then used to pin the tail on the elephant. After the meal break, there was fun and games using plastic maracas brought from England, which all the tots enjoyed. 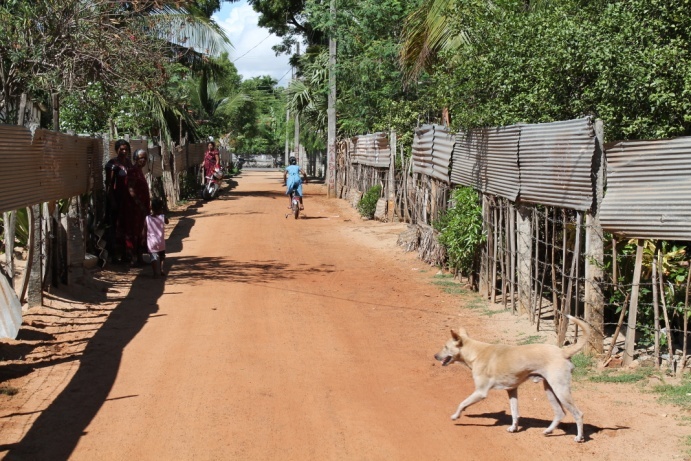 The local people in this town were not too badly affected by the war, but were hit by the tsunami of Xmas 2004 (much property destroyed, but not so many lives) and by the floods of January 2011, which left the area under 2 feet or more of water for about one month. The floods made many people homeless. I visited a few homes while the playgroup was active, and saw one house totally bare of furniture as the family was so poor, another family of 4 kids “squatting” with a relative as they had no place of her own since the floods (though the Mum had a good garden of bananas, pomegranate, cucumbers, curry leaf etc, which does bring some income). A third family had suffered in the floods, had repaired their house, but still they had no help from the government, so they have to sleep on dirt floors. 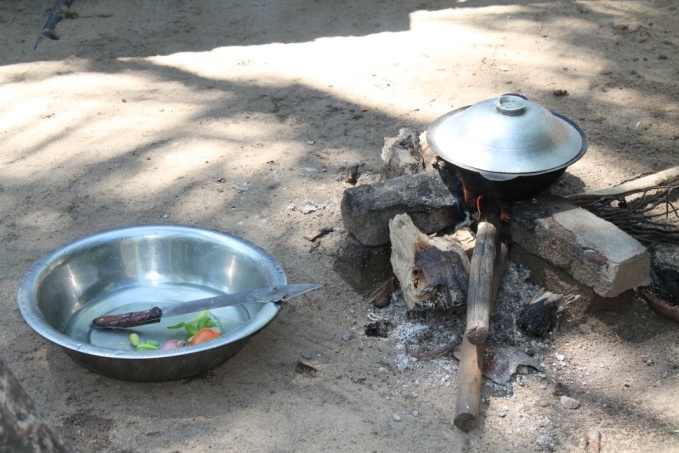 The mother was cooking a tasty curry in the cooking pot outside. At the playgroup I gave the teacher the gifts from Charlton Horethorne Primary School, and she said thank you and that she would pass them on to the children, as well as the messages. In return the children drew some pictures (named) to send back to Somerset, which reflect their own lives and interests. The teacher said she would respond when she receives any further messages.